This is a true story of C.W. 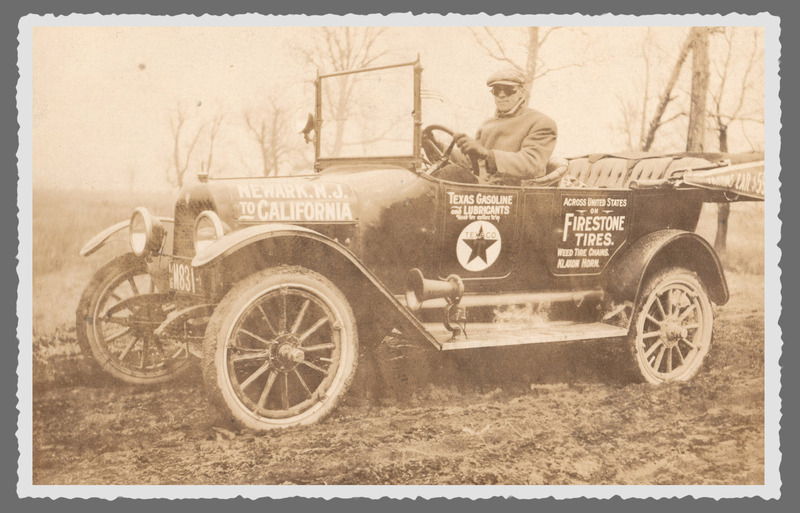 Tuthill’s trip across the United States in 1916 and his grandsons recreation of that epic adventure on the 100th year anniversary. Indeed, as the next week unfolded, it would certainly appear to unbiased eyes as if the two brothers were being guided, inspired and protected either by luck, coincidence or by supernatural forces.
. . . a man just happens to find a six year old newspaper article about the planned trip and sends an email to Doug just days before they leave with an invitation to provide assistance in the Indianapolis area. This was an offer the boys needed.
. . . a spur-of-the-moment purchase of a tire repair kit for seemingly no reason turns out to come to the rescue three days later.
. . . the Chevy support vehicle develops an intermittent problem while on a deserted road but miraculously manages to keep running to get the boys to their destination.
. . . finding a store open on Thanksgiving Day with repair parts they needed.
. . . thirteen days on the road with cold but clear weather and only two small rain showers. The only storm that they encountered passed over them while in the warmth of a shop while repairing the Maxwell.
. . . failing radiator fan bearings were replaced with bearings from a damaged radiator fan they just happened to have. Could this Team just have been extremely lucky or was there someone really watching out for the boys as they chased Grandpa? You decide.